If you have travelled Italy, you likely visited Venice—a romantic floating city built upon the infrastructure of winding canal ways that stand in the shadows of St. Mark’s Cathedral. There is nothing wrong with taking a piece of Venice home with you, but allowing the antecedent of water damage to re-create Venetian canals through your living room and down into your basement is taking things way too far. Any established water damage company in the Miami area should be staffed by knowledgeable technicians who are trained to inform the public about water damage prevention. By understanding how water damage occurs you can help protect your home and family from a plethora of problems that coincide with water damage issues. When it comes to pipe bursts, we are dealing with one of the most common causes of water damage that often requires immediate evacuation. In an article by NBC News a Butte, Montana high school had to be evacuated due to a pipe burst. 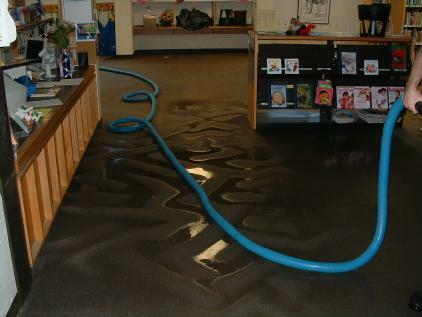 According to reporters a pipe burst on Wyoming Street sent a wave of water through the first floor into offices, classrooms, and the school’s south parking lot. Keep in mind that when your home or business floods in such a manner, you are dealing with more than just water damage—all the bacteria, toxins and viruses in the street gutters and in the ground soak into your floor, walls and possessions. If your home’s plumbing is old, it could eventually burst. Rust and mineral deposits can build up and cause blockage creating pressure in the pipe. When this happens the pipe will crack and spew water everywhere. The same can be said for old washing machines or water heaters—rusted components or pipes with calcium buildup from hard water can eventually lead to leaks and home flooding. Floridians are well aware of harsh weather and hurricanes, and when conditions are just right homes and businesses are more susceptible to water damage. Homes located by hillsides can succumb to mud slides or flash floods, and if a roof isn’t properly enforced water can soak in between the tiles and leak into the home. In the event a storm is brewing, be sure to board up your windows in addition to sandbagging your property. This will prevent debris from flying into your windows and shattering glass everywhere. By performing a few inspections and making necessary repairs or upgrades, you can help lower the risk of home flooding. Nobody wants a basement or living room that can accommodate a gondola. By following these steps you can keep your home dry and safe from water damage and use your savings for another trip to Venice versus paying for new flooring.